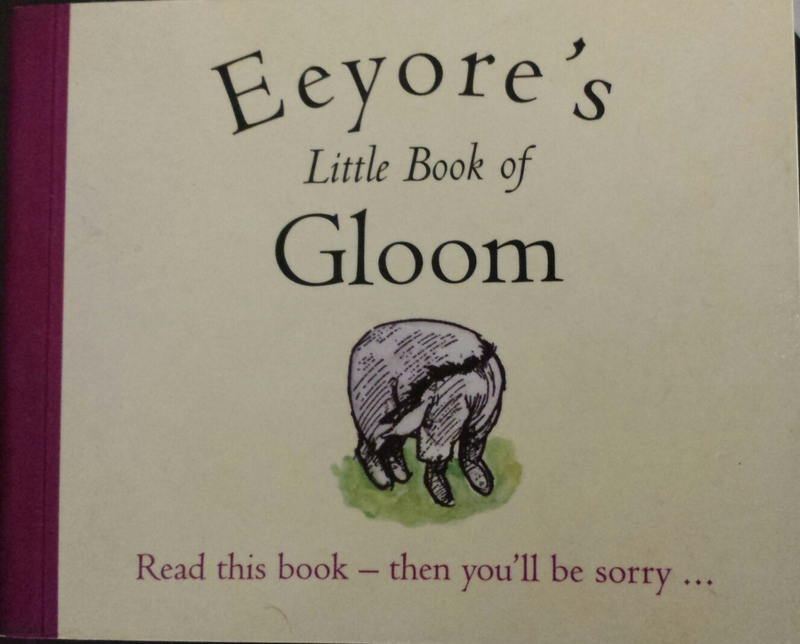 I’m currently trying to read A Fine Balance, on FictionFan’s request, but it is quite a wide book with very small print, so, in the interim, here is a quick review of a very profound book we own called Eeyore’s Little Book of Gloom. Packed full of bons mot, nuggets of insight and some of your favourite characters from Winnie the Pooh, there are few occasions in life when this book wont be able to provide you with a different perspective on your trials and tribulations. I can’t help but feel there is an excellent story to be written featuring a meeting between Eeyore and Marvin the Paranoid Android. 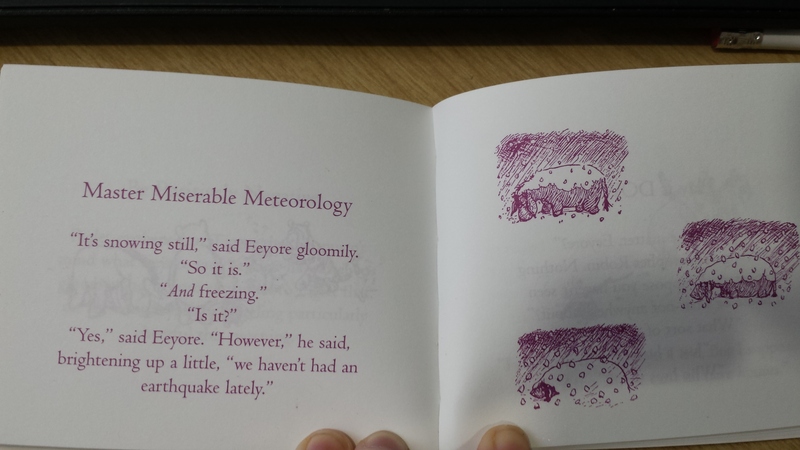 Tags: A A Milne, book, book review, books, Eeyore, philosophy, Winnie the Pooh. Bookmark the permalink. When are you going to share the one about Kanga and Roo, Kate?? ?